Faulty appliances won't only cause frustration but hazards too. But every time you need to fix refrigerators, ovens, ranges, or washers, remember that Appliance Repair San Diego CA can help with your local needs promptly. Just ask us to set up your same day repair service and a pro will help you in a little while. 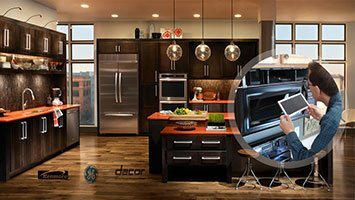 Contact us for any home appliance service in the San Diego area of California. Problems with home fridges, washing machines, or ovens might be handled fast but our company will help with each and every service request. It's equally vital to be sure your new dryer or stove is installed correctly. It's also important to have an appliance service technician over occasionally to check and maintain the gas and electric units in the kitchen and laundry room. These services will give you peace of mind when you decide to spend a day in the San Diego Museum of Man. When you are in need of home appliance repair, help will come shortly. We set up same day repair services and send out techs as quickly as possible. That's vital when both electric and gas appliances break down. It's not only a matter of convenience but safety too. So if you are having any troubles with your washer and dryer or the kitchen appliances, give us a call. The pros come out quickly and fully equipped to provide the requested appliance repair service. CityWide Appliance Repair San Diego is the solution to your concerns. It takes one minute to make contact with our company and all your problems will be handled in a professional and timely manner. Call us for anything you need. Want to install a built-in oven? Need to install a washing machine? Looking for a fridge technician? Contact us. No matter which service you need, our team will arrange for a San Diego appliance technician to help you quickly. We choose the best repairmen in town to ensure the quality of all services. It's vital to fix faulty appliances quickly but it's also crucial to be sure of their correct installation. Appliances improperly installed can cause troubles and often hazards. We also make appliance maintenance arrangements so that each and every unit in your home will run flawlessly for years. Call now and an appliance repair pro will offer the service you need.